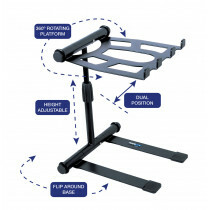 If you're finding that you struggle to find either the space or perfect position for your laptop when you're gigging then we have the ideal DJ laptop stand for you. 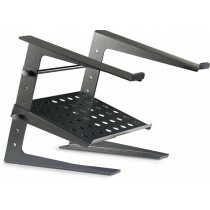 Choose from our wide range of stands that include simple designs to elevate your Macbook or PC Laptop as well as folding designs that fit neatly into your laptop or record bag. 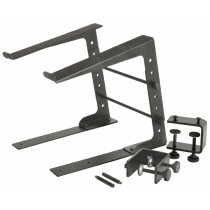 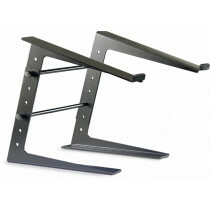 We stock laptop stands from leading manufacturers including Gravity, Crane, UDG, Magma, Stanton and Novopro to name just a few. 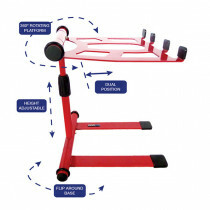 You can browse our range online or if you'd prefer some advice please don't hesitate to give us a call on 0333 700 9000. 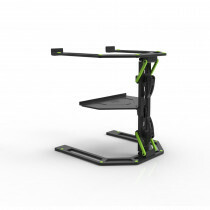 The DJS-LT20 is a laptop stand with adjustable height and also includes a large tray perfect for holding a hard drive or audio interface.